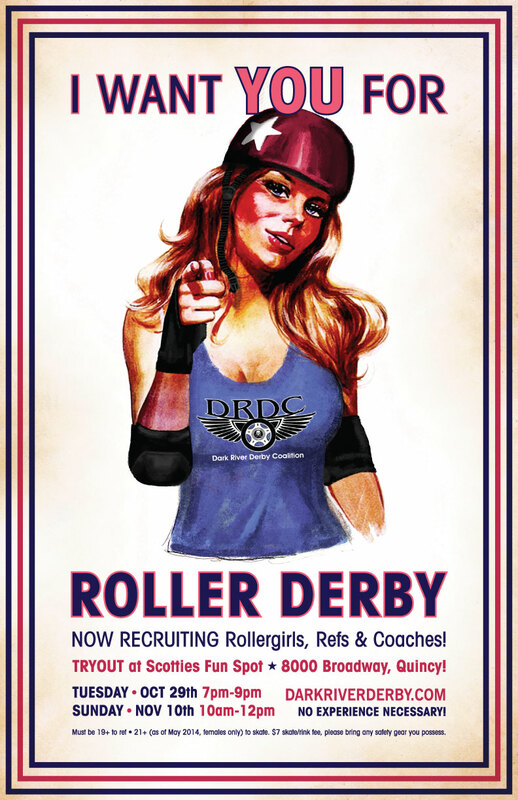 The Dark River Derby Coalition (DRDC) is the first women’s flat-track roller derby league in Quincy, Illinois. The DRDC is a charitable 501(c)(3) organization with the purpose of empowering women through sport. The DRDC is organized and operated with the goal of supporting the public by promoting the rights of women, children, and other vulnerable groups. The members of the DRDC practice at least twice a week at Scotties Fun Spot, as well as attending additional practices and meetings. The DRDC holds fundraisers to support their organization and volunteers at fundraisers and benefits for community organizations. They are working towards WFTDA apprenticeship with the goal of becoming eligible to compete against top roller derby teams across the nation.